Seriously – March is over??? Do you realize that we are already 1/4 of the way through the year 2014? I don’t know how you feel about that but it depresses me a little bit; time just moves too quickly and I usually feel like I’m left grappling at the hours as they whiz through my fingers. Oh well, I guess everybody deals with that at some point, right? I suppose the best we can do is try to enjoy that time, even if it speeds by…so here are some of the things I used my precious time on in March! 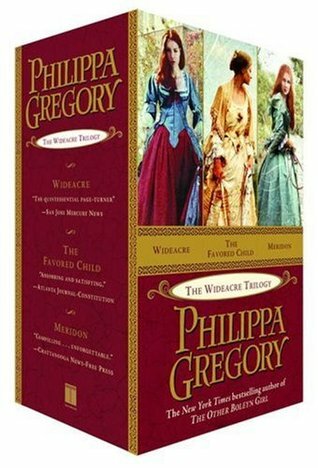 Wideacre – by Phillipa Gregory: Oh this book; so intense. I got this book at the Green Valley Book Fair in Harrisonburg, Virginia back in November when my family went to explore – it’s literally a huge (huge people…gigantic) warehouse filled with books and nothing is over $5 or $6! The book tells the story of Beatrice Lacey, the daughter of the Lacey family who owns and farms Wideacre in late 1700’s Sussex County England. Beatrice loves her home and the land but because she is a girl, she cannot inherit the estate so she makes it her life’s mission to find a way to get her hands on the estate – no matter what she has to do to achieve it. Trust me when I say, she is ruthless to the point that by the end of the book…I didn’t care for her. When I started reading it, I wasn’t sure if I’d be that interested but since it had only cost $3, I bought it – and I do not regret it – this book piqued my interest from the start and I couldn’t put it down! I liked it so much, I decided I needed the other two books that complete the trilogy! The Favored Child – by Phillipa Gregory: Part two of the trilogy, this story centers on the children of Beatrice and her brother, Harry – the heirs to Wideacre. And yes, you read that right…they are children born of an incestuous relationship: I told you, Beatrice schemed and connived in all manner of awful ways to insure her child(ren) inherited Wideacre. Yes ya’ll…it is crazy…crazy good! The main plot line in this story is which of the two children will fulfill the prophecy of being the favored child; the true heir to Beatrice Lacey, a child that will bring the land back to life and make the village of Acre prosper again – will that child be Richard or Julia? It took a little bit longer for me to get into it, but once I started reading it, I definitely was hooked, just like it’s predecessor and since I was rooting for the main character; Julia, it made it easier to enjoy. Meridon – by Phillipa Gregory: Part three of the trilogy; this story centers on the child of Richard and Julia, the characters from The Favored Child. Meridon was given away at birth to gypsies and has struggled her whole life with feeling like she doesn’t belong; she dreams each night of a place that she has never seen but that she somehow knows she belongs to. She is desperate to escape her life as a gypsy and make her own way in the world; her own way back to the life she knows she was meant to be in, her only crutch is her “sister”, the only person she cares for and also the person that could prove to be her downfall. I was really pleased with how this book ended and how the whole trilogy concluded – I’m really glad I stumbled onto these books back in good ol Virginia…they’ve been a great use of my time! Of course, any time spent reading is a good use of time! Sadly, my books didn’t come in a fancy box like this….they were still good though! Grace for the Good Girl – Yes, it’s still in the queue! I didn’t expect to get so hooked on the Wideacre trilogy and reading those three books basically took up all of March! I’ll get to it though, I promise! The Next Best Thing – Also still in the queue; it’s the other book I intended to read before I got sidetracked by the Wideacre trilogy! It’s time is coming though. The Fault in our Stars – by John Green: I have heard so many good things about this book and I also know it has been made into a movie that will be released a little later this year, so I need to go ahead and tackle reading it. I’ve also heard that it will make you cry and cry…so I guess I need to plan to buy some Kleenex for this one! How I Met Your Mother – You guys, I’ve been watching this show since season two (I had to play catch-up with season one beforehand) and after nine seasons, it is taking it’s final bow tonight, March 31st! I have so enjoyed watching the relationships between Ted, Barney, Robin, Marshall and Lily grow and change as each season passed and it was so exciting to finally….finally actually meet “The Mother” this season! I suppose I’ll dedicate a whole post to the show because I am publishing this before I watch the series finale…which I know will be Legen….wait for it….dary! I do know that I absolutely loved that Barney and Robin finally got married in the second to the last episode and I especially love that the person freaking out before hand wasn’t Barney, but Robin – and Barney calmed her down. Needless to say, I could go on and on…but I won’t – it can have it’s own post. 🙂 Can’t believe it’s finally over. And just like that…everyone (including Ted) finally has someone to love! Being Human – Another show that I’ve watched for what seems like forever…event though it’s only been on four seasons, but apparently season four is the end for this one! I understand though; there is such a thing as too much of a good thing and I’d rather a show I enjoy end on a good note as opposed to being milked for all it’s worth until it straggles to an end. I’ve enjoyed watching the exploits of Aiden the vampire, Sally the ghost and Josh and Nora, the werewolves for the past four seasons; unfortunately the series finale isn’t until April 7th so when I post this I won’t know if Aiden and Sally have managed to find a way to have a relationship (that’s hard to do when one of you is non-corporeal), if Josh and Nora will ever have any little fur babies of their own or if all four of them can ever make peace with not quite “being human” but I do know I’ve enjoyed watching while it lasted! Dallas – Ooh wheee, what a crazy mess this show is! Of course, having seen some of the original Dallas the original was a crazy mess too and this is following perfectly in the footsteps of it’s predecessor. The thoughts I have now that we are five episodes in are thus: John Ross is basically JR Ewing writ in a younger form and just like his daddy before him, he is gonna get shot if he doesn’t slow his roll. Christopher is also the very reincarnation of his Daddy but I think he has very poor taste in women; get it together Christopher! Emma (the daughter of Bobby’s wife, Ann) is just a nasty girl, the epitome of trashy and classless and someone needs to help her move on to greener pastures because I am about tired of her. I’m not sure Elena realizes what she has gotten herself into; I realize the Ewings need to be taken down a few pegs (at least, some of them do) but I wouldn’t ever be the one to try it – the Ewings always seem to win in the end. I can’t wait to see how the rest of the season unfolds…I do hope that at some point John Ross gets some comeuppance though. One thing is for sure, things are never anything less than absolutely dramatic at South Fork! DaVinci’s Demons – Another thing I stumbled onto courtesy of the free preview weekend of Starz! The show follows Leonardo DaVinci as he serves the court of the wealthy and powerful De Medici family in Florence. DaVinci is hired to create weapons for the city of Florence but he also spends his time; often time he is meant to be making weapons, studying birds to invent a flying machine, painting portraits and searching through vaults and libraries for the Book of Leaves. The most interesting part of the show for me is watching DaVinci’s mind work, (example: the opening credits are basically his mind working…) the show allows you to get inside his head and see how his thoughts are processed – and yes, he’s played as a near genius, which is fascinating. Granted, the show isn’t exactly 100% true to history – I’m pretty sure DaVinci never crossed paths with Vlad Tepes (that would be Dracula, just an FYI) – but it is completely intriguing and entertaining. Sadly, I don’t actually have Starz…so I got to record all of season one and that’s all there is…for now. And it ended on a complete cliffhanger. Ahhhh! Season Two picture: Lucrezia Donati, Lorenzo de Medici, Leonardo DaVinic, Count Riario & Clarice Orsini…I love the names….so fun! Dallas Buyers Club – This movie was….interesting. Perhaps that is the best way to describe it. It tells the story of Ron Woodruff, a man diagnosed with HIV and told he has thirty days to live. Instead of taking his diagnosis lying down, he begins to look for a cure by any means necessary; for both himself and the friends he makes on his journey. Ron starts the journey as a very small-minded man with a very narrow view of the world but through his journey, his eyes are open and he learns that all types of people are worth value. I can certainly see why this film won both Matthew McConaughey and Jared Leto their Oscars; they were outstanding in the film, although I prefer them both with a little more meat on their bones. Talk about being committed to a role! Austenland – I rented this from the Redbox as a kind of last ditch pick when what I was looking for wasn’t there and I’m so glad I did! Austenland follows a hopeless romantic named Jane who is obsessed with all things Jane Austen and the romantic ideals of her stories. Hoping to find a fairytale ending, she spends all her savings to visit a theme resort called Austenland, where every day of life is played out as if it is straight from Austen’s period, complete with actors fulfilling every whim of the guests….but of course, this complicates things because Jane can’t decide what is real and what is an act. This movie was such a great romantic comedy and even though it was an alternate choice, I’m so glad I chose it! About Time – Oh my goodness, well this movie immediately jumped on to my favorites list within minutes of starting to watch it! It was recommended by my little sister and she for sure picked a winner! When Tim turns twenty-one, his father lets him in on a secret that all the men in their family can travel back in time. Tim uses this to live each day with his true love to the fullest, sometimes repeating days just so that he can experience the small moments that make each day special. Domhnall Gleeson (hey Bill Weasley!) and Rachel McAdams are the main characters and they have splendid chemistry; actually the whole cast is pretty brilliant. This movie is the perfect blend of romance and comedy with plenty of heartfelt moments thrown in to boot. It’s absolutely a wonderful movie – go rent it now! I love this movie – it is so completely excellent! Hotel Translyvania – This was a really random selection; I discovered that DirecTV was doing a free preview of Starz and Encore from the 21st – 25th and so I immediately checked out the channels and recorded tons of movies, you’ve gotta seize the free stuff, right? This movie is the animated tale about Dracula’s daughter Mavis growing up and how he has to learn to let go of his daughter and let her grow up. Dracula builds a hotel in Transylvania for monsters only and tries to keep his daughter locked behind closed doors; safe from the scary humans who live in the world but his plan goes horribly awry when a human manages to breach his defenses, discover the hotel and fall in love with Mavis. This was a cute movie and was a nice way to pass some time on Saturday night. The Hangover: Part III – Well, this was just stupid. The first movie was hilarious, the second one was only sort of funny and this one was just beyond stupid. There is a reason they say you can get too much of a good thing and that’s the case with these movies. They should have quit while they were ahead and left well enough alone. At least Bradley Cooper is pretty to look at though, right? Divergent: Absolutely great! Granted, it took me two times, almost two hours in the car and $18 when it was all said and done…so I’m awfully glad I enjoyed it. The movie tells the story of Tris Prior, a girl who doesn’t fit into just one of the five factions that her society dictates and is labeled divergent – a dangerous thing to be in the dystopian society she lives in. The movie follows Tris as she chooses her faction and tries to find a way to fit in and suppress her divergence…until circumstances around her force her to realize she will have to embrace her difference and stand up for what’s right. Also, Four is really easy on the eyes…although every single time I saw him I wanted to say “how dare you die in Lady Mary’s bed?! ?”…and if you don’t get that reference…go watch some Downton Abbey and educate yourself. Ha-ha! Oh my – he’s handsome, right? Thirty Seconds to Mars – Ages ago (I’m talking, when I was in college) I discovered this band and bought a song or two from them…but as it happens so often, I stumbled onto other things and they gradually faded into the background. I stumbled on one of their most recent singles on iTunes for FREE and fell in love with the song; it of course went immediately onto my iPhone! I further discovered that I could get the whole album that the aforementioned single came from for only $4 and I was sold. It was an excellent purchase and I’ve been listening to it on constant loop for most of the month! Best song? City of Angels – I love it. I also stumbled onto a song called Somebody to Die For by a group called Hurts. Which is off an album called Exile…which makes this song sound really depressing, but it’s actually quite pretty. Perhaps you want to take a listen? I must confess that I’ve also been rocking out to the Frozen soundtrack because I am still really into it. I may or may not have rearranged my bedroom furniture to the soundtrack and gotten really into “Let It Go”. Again – may or may not have. You can decide that for yourself. This is still the best scene in the movie…because it’s got the best song of the movie. I stumbled onto a recipe for Southwestern chicken salad which I whipped up and stuffed in some crescent rolls and that was absolutely delicious! I’d love to be eating some right now. Also delicious – when I cooked myself some chicken, potatoes and carrots in Italian dressing. Sometimes it is just really good to have a nice, hearty meal! One of the best things I’ve at this month has been chocolate that my sweet family so kindly sent my from a Georgetown walking tour that was centered on chocolate of all kinds. They picked me out a box of six beautiful, French “hand-grown” chocolates in flavors like Honey Lemon (delightful) Irish Coffee (tasty) and Salted Caramel (oh my gracious). I want to find that store ASAP…because I’d love to taste each and every flavor! Captain America: The Winter Soldier…because y’all, I am a nerd for sure and if it has to do with the Marvel Universe you can be sure I’m excited about it..(okay, Guardians of the Galaxy looks a wee bit weird…but that’s not till August) and I am going to be there. Luckily, the day it comes out coincides with my next half-day at work and I will be taking my merry little self to the movies! 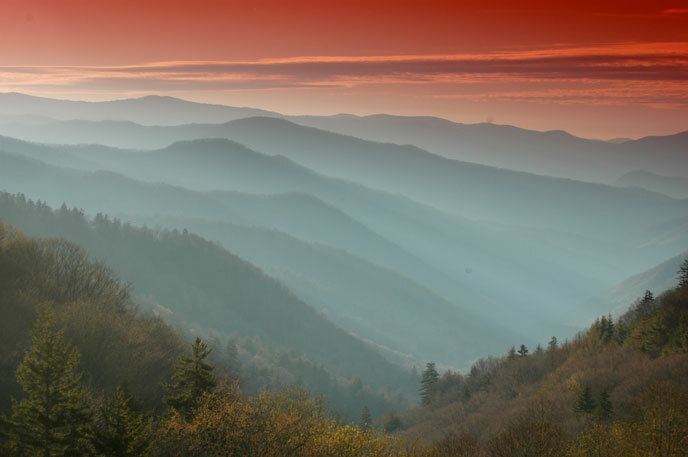 Going to the Smoky Mountains! I haven’t been to Gatlinburg/Pigeon Forge in probably three or four years and I have missed it so! I’m meeting my parent’s in the Forge for Easter weekend and I can’t wait – because oh yeah, I haven’t seen them (or at least by then I won’t have seen them) in almost five months! Hiking and ziplining in the mountains, shopping at the outlets, eating at the Apple Barn and Huck Finns! Is it April 18th yet?? Ah yes – glorious. Can we just go now? Well – there you have it. Another month has come and gone. I wonder what I’ll get into in April? Only time will tell….